If one thing is clear, is that Sweden’s Felix Kjellberg, also known by his online alias “PewDiePie” is one of the biggest YouTube stars in the world, and the Swedish comedian’s channel currently has more than 50 million subscribers. And it’s clear that PewDiePie has reached celebrity status not by being subtle, as his comedy videos are often provocative and sensational, while it’s clear that the man does have his fair share of detractors. And PewDiePie haters had reasons to cheer this February, as Walt Disney announced that it was severing links with the Swedish star. In a statement, a spokesman for Disney-owned Maker Studios explained the company’s decision, saying that “although Felix has created a following by being provocative and irreverent, he clearly went too far in this case and the resulting videos are inappropriate”, adding that “Maker Studios has made the decision to end our affiliation with him going forward”, as reported on the Wall Street Journal. The reason for this was a string of videos that Kjellberg had posted in recent times, which contained Nazi imagery and some rather anti-Semitic content. Actually one video which PewDiePie has since removed from his channel showed a pair of Indian comedians holding a banner containing a rather inflammatory message about Jewish people (Kjellberg had paid them to perform in this manner). An image from PewDiePie’s controversial video. 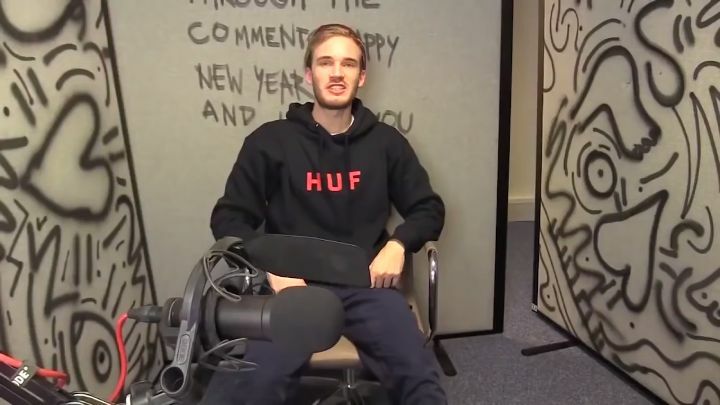 This certainly gave plenty of ammunition to his haters, but at least PewDiePie turned to Tumblr to issue an apology of sorts, writing that “I think of the content that I create as entertainment, and not a place for any serious political commentary”, and also adding that “though this was not my intention, I understand that these jokes were ultimately offensive”. But despite his comments that his YouTube channel is not a place for political commentary, the man must surely take responsibility for the content of his videos, and if they contain statements of a political nature, they should be regarded as such. After all, PewDiePie got to where he is by being provocative, sensational and often politically incorrect, but is he such a fool to dismiss this as a purely innocent thing on a YouTuber channel? 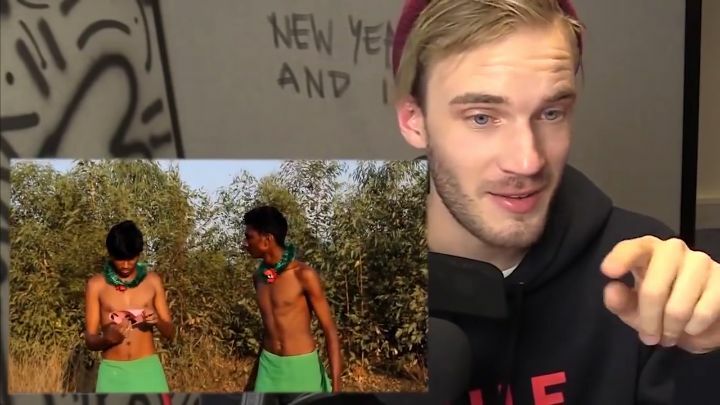 This video was seen by millions around the world, and even if PewDiePie has removed the controversial videos from his channel and clarified his intentions, the damage is done.